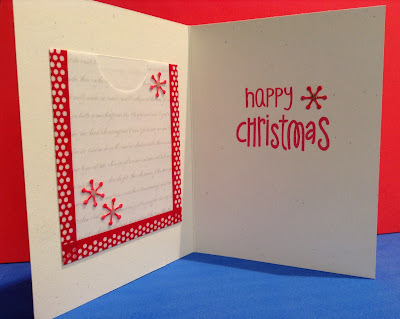 Hello my fellow crafters, I am taking part in the Holiday Card Workshop 2013. It began yesterday and day 1 was fantastic, love all the great design ideas and tips and tricks I learned from these ladies. I want to share my "homework" :) the first is a design by Kristina Werner. A dry embossing technique with a flat spot for stamping a sentiment with a great little pocket on the inside for a gift card. Whoooo doesn't love a cute little owl. Really nice card. Adorable! 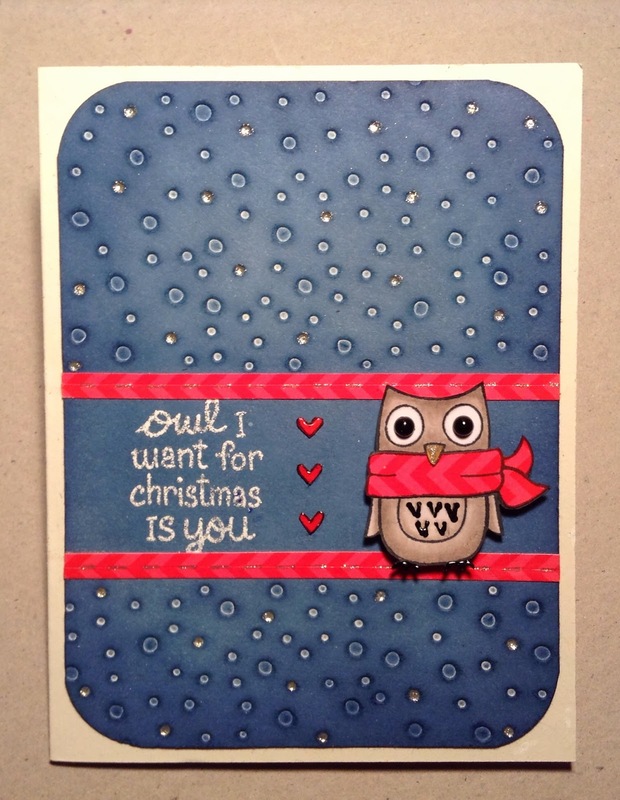 Love the little owl and matching sentiment.